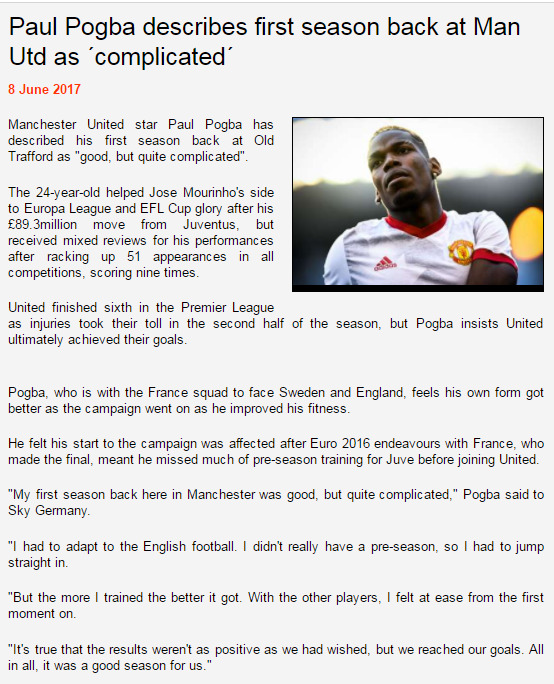 maybe we should ask ourselves whether Mourinho is washed up and overrated instead of Pogba. Eyval! Well said but I still think PP isn't worth that much. 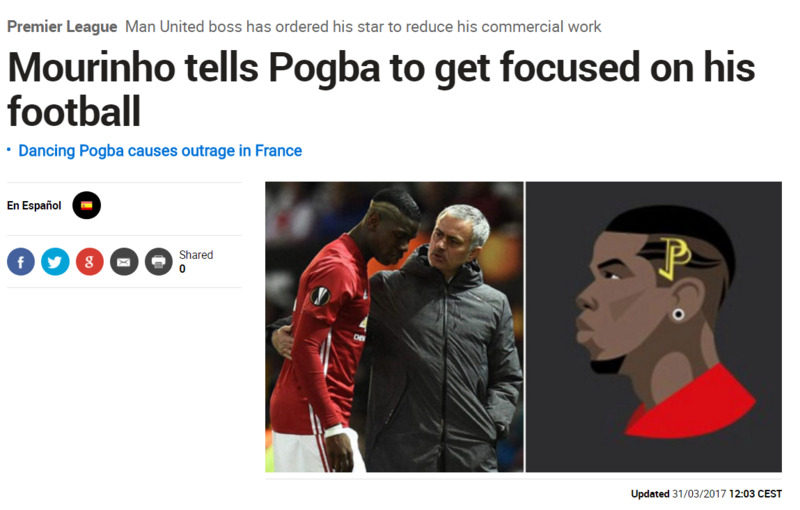 .Manchester United midfielder Paul Pogba risks being dropped by manager Jose Mourinho for his distracting commercial antics away from the football pitch, according to the Daily Mirror.United boss was unhappy with Pogba's recent Twitter stunt where he launched his own emoji on the social media platform.Pogba became the world's costliest player at £89.3million when he rejoined Manchester United from Juventus last summer.French midfielder has netted seven goals and chipped in with four assists in all competitions for United this season. good job Jose!!! this guy need to some spanking. Get your act together or you will be another DiMaria aka Snake!! I think Pogba is the MOST OVERRATED player in the history of Football. Yeah, He was decent in Juve, Best player in the world? NOT EVEN CLOSE !!! as i said he has got to be the most over-rated player in the history. I still cant believe how much Juve got paid for him ! they must be laughing now !!! ^^Not only Pogba is overrated he looks like a God dam Uncle Tom Black Aryan alert. Nothing on Earth is funnier than an African or African American dying their hair blond, trying to be white. They do not realize we are laughing at them, you do not look more white you look more ridiculous. For once I agree with Mou focus on football, not your hair jagoff! Come back to Juve and show everyone what overrated means, please! Not too shabby on the defensive side of things. overrated does not mean bad. it means for that money could i have gotten some guy who performed better for me? and i am mixed on that. 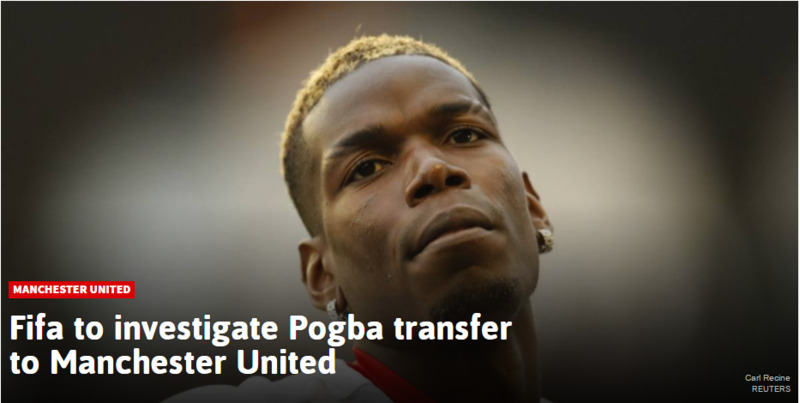 Going forward Pogba's value is going up big time. but in the last 2 year he did not really perform as the billing promised. you can blame it on Jose though as well. Just compare his performance in Juve vs United then it is obvious the problem is from somewhere else not Pogba. He had a fantastic WC and he really showed his value, he is anything but overrated. I see. You want to see more of this one below. What a jewel. He bad a good tournament but be got a daddy called luca.